It has been said that the measure of a life is its service. This could not be truer for the four individuals who were chosen to receive the 2003 SHSU Alumni Association Service Awards. Robert Lee Bruner, Mary Frances Allen Park and George Robert Vick of Huntsville and Ray Burgess of The Woodlands will be honored at a luncheon on April 11, from 12 p.m. to 1:30 p.m., in the Lowman Student Center Ballroom for their commitment to the university. Tickets for the event are $15 for Alumni Association members and $25 for non-members. Reservations can be made though March 28 by contacting Chrissy Price by phone at 936.294.4123 or by e-mail. 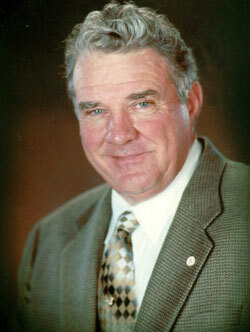 Robert Lee Bruner is a 1962 graduate of SHSU with a bachelor of science degree in agricultural business. Bruner is the owner of Bruner Angus Ranch and worked in the agriculture-chemical industry for 25 years, as well as serving as the managing partner of two gasoline distributorships and two multi-unit apartment complexes. He is the past recipient of the Man of the Year in Agriculture award from the Texas County Agriculture Agents Association; the Bill Clements Award for Outstanding Leadership in Agriculture award from the Build East Texas Committee; and the Excellent Producer award from the Texas Forage and Grassland Council. In addition, he has been active in community and university endeavors, including serving as director of the Huntsville Memorial Housing-Parkview Place Retirement Center, director of the Texas Angus Association, founding director and life member of the Walker County Fair Association, assistant superintendent for the Junior Commercial Steer Show at the Houston Livestock Show and Rodeo and agriculture adviser for the SHSU ranch program. "He has been a strong supporter of Sam Houston State University and the Department of Agricultural Sciences," Bruner's nomination form said. "In 1998, Robert secured the donation of 38 registered angus cows from Circle A Angus in Iberia, Mo., for the Department of Agricultural Sciences at Sam Houston State University. "He continues to assist the program through considerable personal commitment of time and resources," the nomination said. 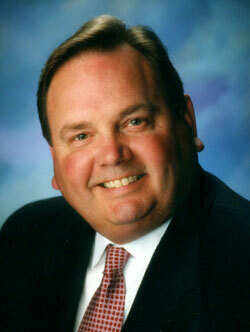 Ray A. Burgess, a resident of The Woodlands, is a 1975 SHSU graduate with a bachelor of business administration degree. In 1978, he received his law degree from the University of Houston Law School and is currently an attorney with Hope and Causey, P.C., in Conroe. At SHSU, Burgess was a four-year letterman in baseball. Today, his pitching accomplishments are still recognized in five different categories of SHSU baseball records, and in 1999, he was named to the Bearkat Hall of Honor by the SHSU Lettermen Association. A 10-year member of Bearkat Partners, Burgess is a lifetime member of the Lettermen Association and presently serves as the second vice president of the organization. He has been a member of Kat Pack for 11 years, serving as the president for five years; has run the Lettermen Golf Tournament and the Baseball Golf Tournament for two years; and was instrumental in the Baseball Fundraiser in 2002. "This degree of commitment is rare and is found only in those few alumni in universities nationwide who ultimately received an award of this magnitude," one nomination letter said. "For anyone who knows Ray, there is no doubt that 'he bleeds orange'. His loyalty to Sam Houston is unparalleled." Outside of university activities, Burgess is a member of the Montgomery County and the Houston Bar Associations, as well as the State Bar of Texas and a member of The Woodlands United Methodist Church. He was also a nominee for Business Person of the Year. "Ray was an outstanding athlete and is now a successful lawyer, and more importantly, an outstanding person," another nomination letter said. "He is surely a credit to SHSU." Now a retired SHSU professor, Mary Frances Allen Park began her formal education in kindergarten at Demonstration School, Sam Houston State Teachers College, continuing through ninth grade and graduating from Huntsville High School. Park returned to Sam Houston to receive both her bachelor's and master's degrees. She later received her doctorate in education from the University of Houston. After teaching 11 years in elementary school, Park returned to SHSU, where she taught elementary education for 25 years. During these years, she served on many university committees, evaluation teams, and as grant coordinators and was the first woman chair of the SHSU Faculty Athletic Committee. She was also the first woman faculty representative to the Lone Star Conference Athletic Committee, receiving a citation from that body upon her retirement. "Mary Frances has been a long-time supporter of SHSU," her nomination form stated. "She's a tireless worker and an advocate for the university." 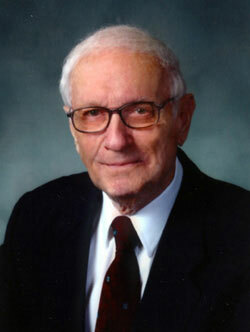 Park has received numerous awards, including the Excellence in Teaching Award in 1981; the Minnie Stevens Piper Teaching Award in 1981, which is given to only 12 recipients statewide; the Outstanding Teacher Award; SHSU Lettermen Appreciation Award; and Kappa Delta Pi Appreciation Award for 20 years of service as a co-sponsor and treasurer. At her retirement, she and her husband established the Mary Frances and Mance Park Endowed Scholarship in Teacher Education. In addition, she was named Texas Mother of the Year in 1981, having been nominated by the Upsilon Chapter of Delta Kappa Gamma; received the SHSU Distinguished Alumni Award in 1994; and has been a Century Club member of the SHSU Alumni Association for many years. Since her retirement, Park has been continuously active in her community. She was a member of the organizing boards creating and establishing Huntsville Leadership Institute, Sam Houston Folk Festival, and Friends of the Huntsville Public Library. For her efforts, Park has received the Jaycees Distinguished Service Award as a Community Service Volunteer in 1994 and the Mance Park Lifetime Achievement Award in 1999 from the Huntsville-Walker County Chamber of Commerce. In addition to community projects, her endeavors include participating in lineage, historical and professional organizations, as well as extensive commitment to her church, First United Methodist. "Mary Frances loves to be involved," her nomination form said. "She is currently chairing the development committee of the Huntsville Education Foundation. 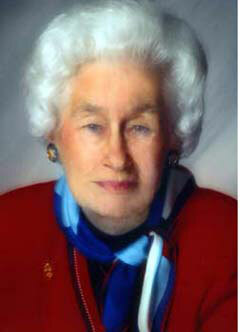 She served on and chaired numerous committees during her tenure (at SHSU) and since her retirement." George Robert Vick is a 1941 graduate of Sam Houston State Teachers College with a bachelor of arts degree in mathematics. He also received his master of arts degree from Sam Houston State and his doctorate from The University of Texas in Austin. He taught at Huntsville High School for one year and served in the U.S. Army during World War II for four years. Now retired, he also taught mathematics at Sam Houston State for 41 years and at the University of Oklahoma for four years. As an undergraduate at SHSTC, Vick was elected to Alpha Chi and Kappa Delta Phi. He was also valedictorian of the last graduating class of the Demonstration School at SHSTC. With only one year teaching experience, Vick was hired as an assistant professor, serving as department head for 11 years. He was also the recipient of an educational who's who award during his tenure as mathematics department chair. Also as a professor, he revised and updated curricula to compare favorably with leading Texas universities and created a computer science division with a director who had headed the computer section of Dow Chemical Company. "In a period of extreme scarcity of Ph.D. mathematicians, he taught and supervised the creative research of select graduate students, hiring a few who completed their master's programs," his nomination form said. "Of about 20 who left to earn doctorates, eight were hired on Sam Houston's faculties--five in mathematics, two in education and one in physics." As elected chair of the Texas Section of the Mathematical Association of America, Vick presided over the annual two-day meeting held on the SHSU campus, which was attended by more than 200 mathematicians representing over 40 Texas colleges and universities. The invited guest speaker for the convention was an SHSU alumnus. Vick and his wife are lifetime members of the SHSU Alumni Association and support the Huntsville community through participation in the performing arts, the Walker County Retired Teachers Association and the Walker County AARP, which he has served as chaplain. "As a leader in his church, Dr. Vick has promoted local benevolent activities, Christian teaching in community and prisons, programs to aid alcohol and narcotics abusers, constructing an off-campus building to use for conducting a program of Christian campus ministry and supporting character building activities for the youth of our community," his nomination form said.